Neptune Energy said it had agreed a final investment decision with partners BP and Japex to get the Seagull field to production by the end of 2021. Seagull is expected initially to produce about 50,000 barrels of oil and gas per day over its 10-year lifespan. The field will not require a new platform, as subsea pipelines will link the wellhead to a nearby BP platform. Seagull is a high pressure, high temperature development located in the central North Sea, about 10 miles south of the BP-operated Eastern Trough Area Project (ETAP) central processing facility. 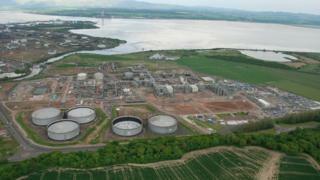 Gas from the development will come onshore at a processing terminal at Teesside, while oil will be exported through the Forties Pipeline System to the Kinneil Terminal at Grangemouth. A field development plan has been submitted to the Oil and Gas Authority for approval. Neptune chief executive Jim House said: "Seagull is a low cost, near-term development in close proximity to existing infrastructure. "It complements our existing assets in the North Sea and provides growth and greater diversity for our UK business." Neptune, which is led by former Centrica boss Sam Laidlaw, is the operator of Seagull and has a 35% equity interest. Its joint venture partners are BP, with 50%, and Japex, with 15%.